Ever wonder what your life would be like if you had four kids? Hang out here to find out the truth...uncensored! So sorry for the delay on my giveaways! I went on vacation and I have been without internet until today! I am up and going now, so I will be posting the winners later tonight! CSN Stores is the best place to shop for all things! They have just about any item you can imagine in their 200+ stores online! You can find anything from items like bathroom vanity, Cookware to furniture! There are many great items and lots of great deals! CSN is offering one of my readers a $50 gift certificate to ANY of their 200+ stores online!! Isn't that wonderful?! There are many items under $50 that are great or you might even want to get something else and use the $50 gift certificate to help you get it! Some of the items I like are the Kitchenaid Cookware Gourmet reserved hard based skillet twin pack in red and the Elite Single Round Bean Bag chair for my kiddos! But the choices are endless at CSNStores! You can shop for hours in their stores! 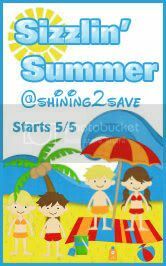 You can shop for Home Decor, Baby & Kids, Shoes, Bags, and Luggage, Pet, Office, and School items plus many, many more! Now, on to the best part! How would you like to win a $50 gift certificate to any one of these fabulous CSN stores?! All you have to do to enter is leave a comment below with one item that you would love to have from CSNStores. This giveaway will end August 1st at 8pm central time. I will then pick one winner using random.org and I will email the winner. The winner will have 48 hours to reply or a new winner will be chosen. I don't have anymore little movers that require diapers anymore, but my nephew is just starting the crawling stage! He's 6 months old and is starting to get around pretty well. It is great to have diapers that don't leak! Especially for little movers! Huggies little movers are great for crawlers! I can remember when my 4 kids were crawling and I tried all kinds of diapers and I wish they would've had these diapers when my little ones were crawling. 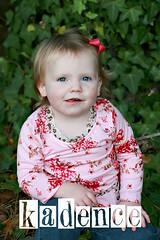 Blissfully domestic is hosting a giveaway for huggies little movers that everyone should check out, but it ends today! So hurry! Finish Quantumatic Review and GIVEAWAY! 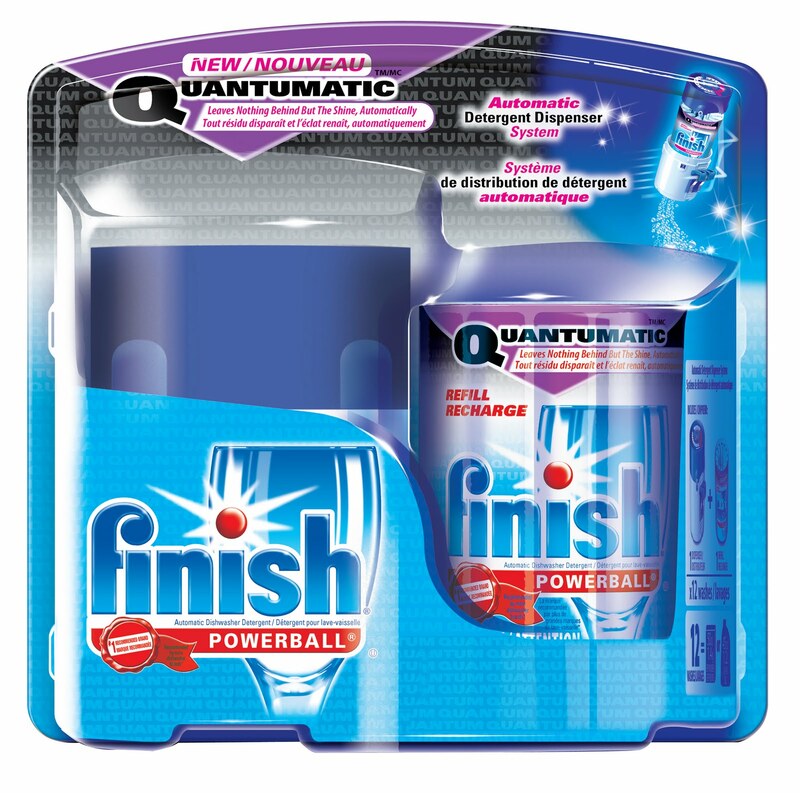 FINISH QUANTUMATIC is a new detergent dispenser and refill for your dishwasher. It provides the power of Quantum for 12 washes!! No prerinsing is needed for the quantumatic. The FINISH QUANTUMATIC is easy to use. All you have to do is place the refill in the dispenser, close and lock lid; Clip the QUANTUMATIC on the top rack of your dishwasher and turn your dishwasher on like you always do. After 12 washes replace with a refill and start over. This detergent has powerful enzymes to losen burnt on food, bleach for tough stains, and a rinse agent for the shine. There is a counter on the side to show you when it's time for a refill and how many washes you have left. 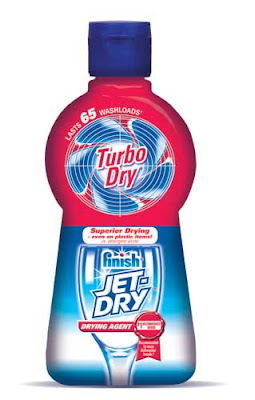 Finish Jet-Dry Turbo Dry is another great product that includes a drying agent that drys your dishes so that no spots are left on your dishes from water left on the dishes after the wash. The Jet-dry is used in the rinse agent dispenser of your dishwasher and is released during the rinse cycle. I was sent these 2 products for review and I must say that I was impressed with the results. With 4 kids at home, I'm all about making dishwashing simple. The FINISH QUANTUMATIC dispenser was very easy to use and worked wonders on my dishes. With the help of Finish Jet-dry turbo dry, these 2 products left my dishes sparkly and clean with no water spots like regular washes normally do. For the best part, Finish would like to provide one of my readers with the same 2 products that I reviewed! Leave a comment answering this: Have you tried the FINISH QUANTUMATIC and/or the Finish Jet-Dry turbo dry? If so, what do you like about it? If not, why do you want to try it? This giveaway will end August 1st at 8:00pm central time. I will pick a winner using random.org and I will email the winner. The winner will have 48 hours to respond or another winner will be chosen. 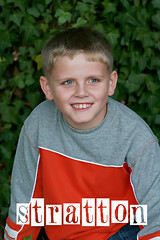 Discloser: I was provided with these 2 fabulous products and information by Finish. The giveaway products are provided by Finish as well. 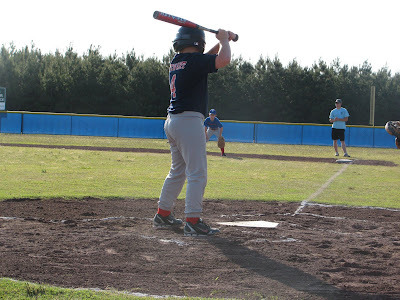 Ball Season is coming to an end! 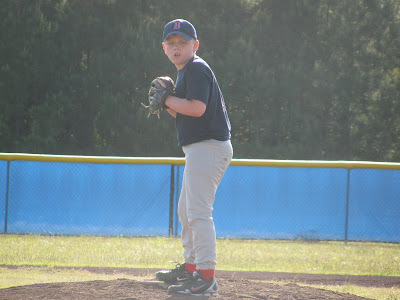 Baseball has consumed our lives for quite awhile now and I loved every minute of it! 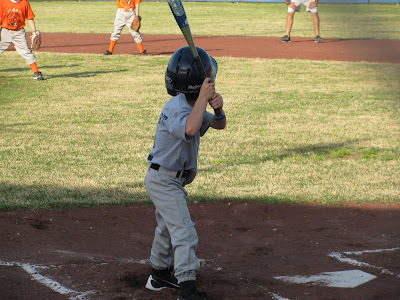 I love watching my boys play ball. Stratton is finished with his games and Trenton has a couple more next week and we'll be done. I will miss it! 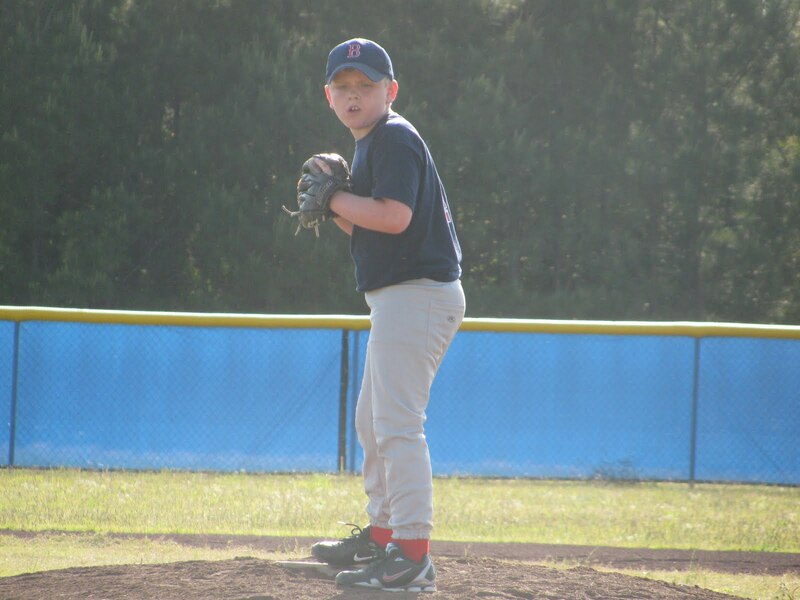 Stratton pitched for the first time this year and he did really well! My little man played 2nd. 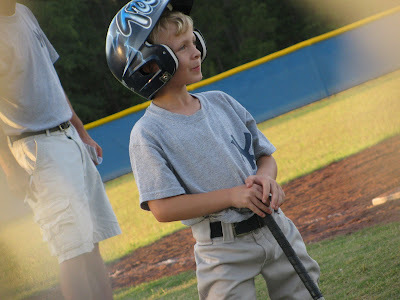 He looks so little out there on that big field, but he acts 10 foot tall and bullet proof! He is very entertaining to watch! CSN Stores giveaway coming soon!! I am so excited to be hosting a giveaway for CSN stores on my blog! CSN stores have over 200+ stores with items including sofa, baby gear like strollers, diaper bags, and carriers, cookware, outdoor toys, children's furniture and much much more! You can shop for hours in the CSN stores! I will be hosting a great giveaway soon which will give one of my readers a chance to shop for free in any of their 200+ stores! So stay tuned... You don't want to miss this one!! General Mills has made a further commitment to reduce sugar in their cereals that are geared towards children under the age of 12. Breakfast is the most important meal of the day! People who eat cereals that are ready to eat consume less fat, less cholesterol, and more fiber than non-cereal eaters. 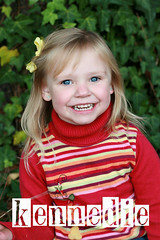 You can visit this link on the General Mills site for more information about kids and cereals. Cinnamon Toast Crunch is my absolute favorite cereal! I love it! I can eat it dry or with milk. My kids also love Lucky Charms and Cherrios. General Mills, in my opinion, has the best cereals to offer. My name is Jennifer. I am 31 years old and have 4 beautiful children. Stratton, who is 11 yrs old; Trenton, who is 8 yrs old; Kennedie, who is 5 yrs; and Kadence, who is 4 years old. Feel free to contact me for product reviews. I would be happy to host a review or giveaway on my blog for any type of product. I'm always on the look out for great products for my whole family, especially the kids! I graduated this year from UAM with a bachelor of Social Work. I work as a rehab instructor at a human development center. I enjoy reading other people's blogs, and I love getting comments from my readers! I just got a job and I'll update as I get more into the job scene! I am working hard to improve my daily walk with Christ, and gets lots of guidance in doing so from my church family and friends. 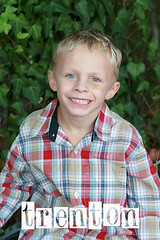 Please feel free to "follow" me on my blog, to check out the happenings of my day to day life as a mom to 4! Is there anyone out there....? Or did everyone relocate to facebook and drop blogs? My Crazy Life with 4 Boys!